And, I found a limited edition art book by Dave McKean (he illustrated the covers of the Sandman graphic comics), called Pictures That Tick Short Narrative Book One. I found it outside of Green Apple books in a box with other books. I assume someone must have been trying to sell them at Green Apple and when they didn’t buy them, they left them on the street rather than carry them back home. 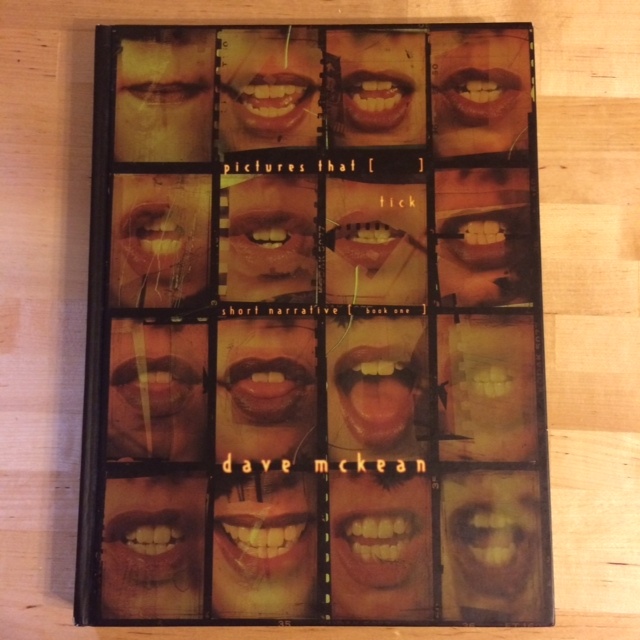 Still though, I did try to walk away nonchalantly when I took the Dave McKean book. That was about six years ago. Below are the books that I have found over the last year: I tried to make a note of where I found them as well. 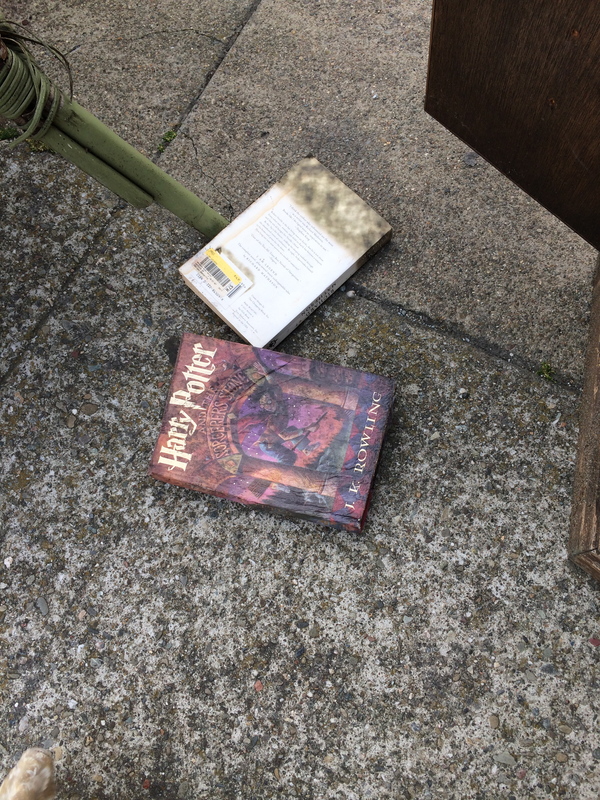 I didn’t find any that were keepers, but it’s also fun to think about why the books were left behind, and by who. I like to believe that they are left intentionally for someone else. They is a hope that someone else will like and need them and take them. 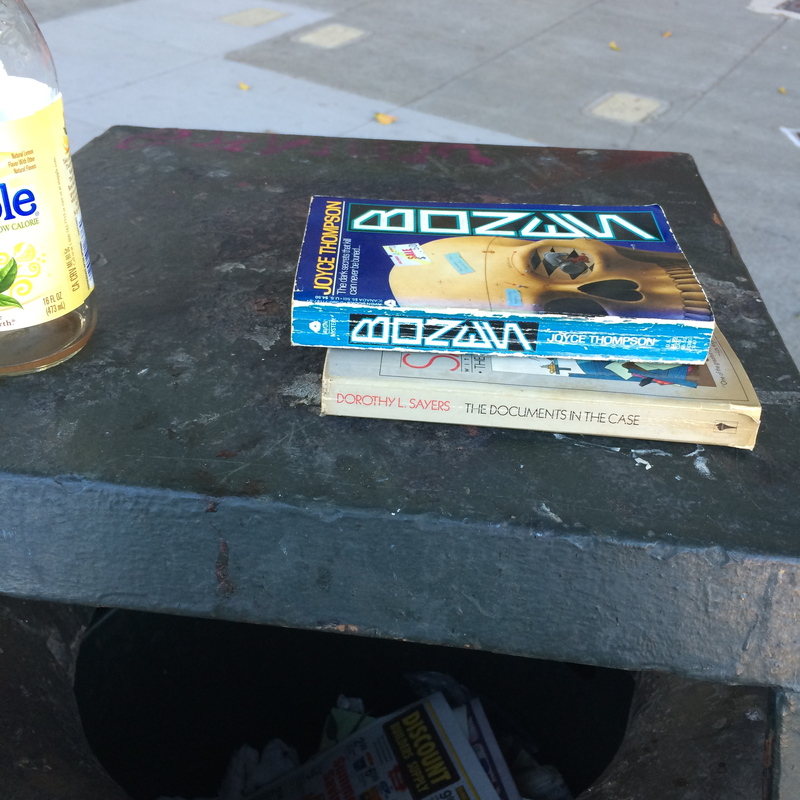 For example, the books below, I would think were read by some street punk with a pit bull who left the books for someone else to read, rather than toss them or continue carrying them after reading them. Below I think someone was cleaning out their place and just left everything on the street hoping people would take stuff home. And another I can’t quite make out. I think some poor person accidentally dropped this out of their back pocket or bag. It was in the middle of the sidewalk in front of a business. A lot of homeless people hang out in this area. I suspect someone was looking at it, got distracted, and left it. A picture book of tattoos in another language. These two books looked like they’d been read and they were next to a piece of furniture. 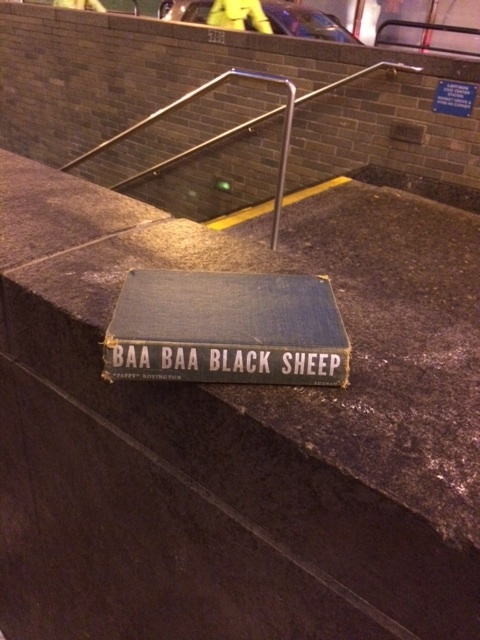 Perhaps someone was moving and decided they didn’t need to keep the books they’d already read. I felt bad about this one but I saw a staff member put it in lost and found. 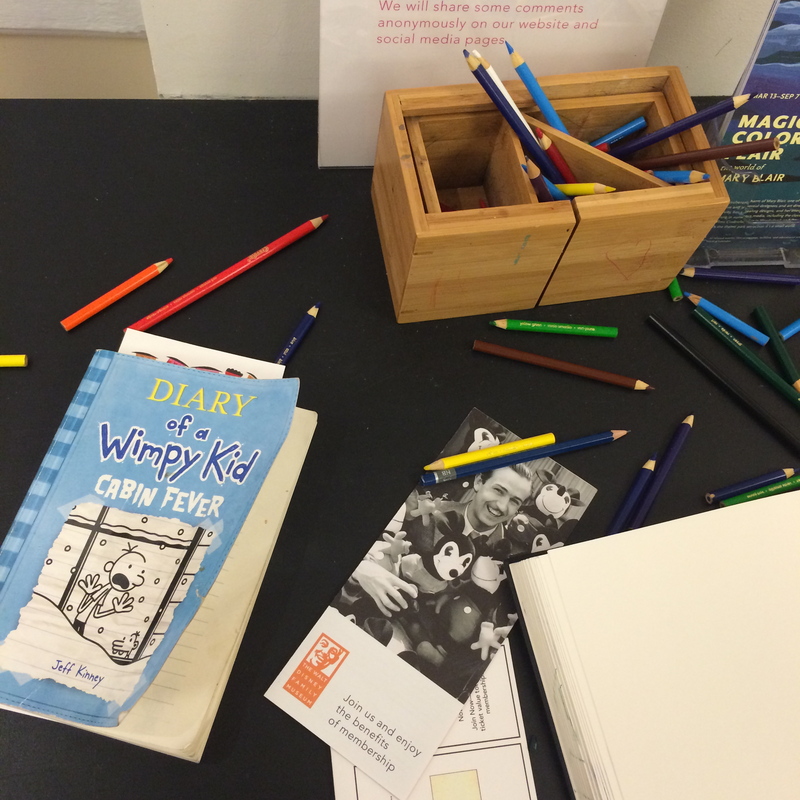 Some kid was having so much fun drawing at the Walt Disney Family Museum that they accidentally left their book at the drawing station. Walt Disney Family Museum, San Francisco. Diary of a Wimpy Kid: Cabin Fever by Jeff Kinney. I couldn’t tell if the people were moving in or out of the place: there were so many books and so random too. But a lot of them were dated, so they could have just been cleaning out their place. Again, a lot of homeless people hang out around here. Perhaps it belonged to one of them: they sleep on the street right near BART. 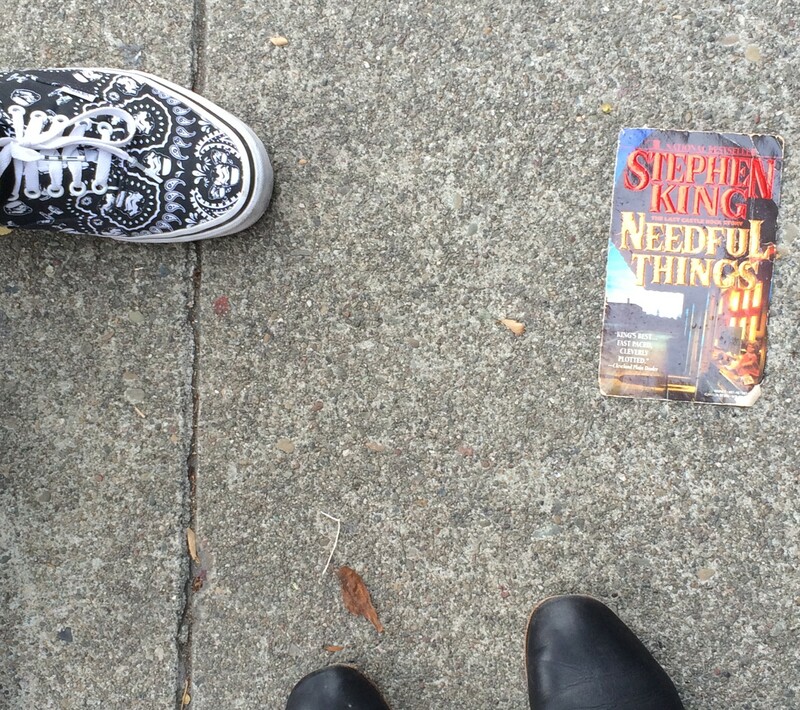 They also tend to lay stuff on the sidewalk and sell out: books, magazines, movies, and clothing. ← Previous Post Blackout by Mira Grant: Zombies, Bloggers, and Scientists, oh my! !